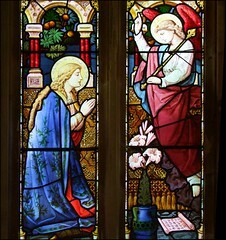 The enthusiasms of the Reverend Whitwell Elwin are detailed in the introduction to this piece, so it is to the open fields a mile or so to the east of Reepham that you come to see his dreams fulfilled. 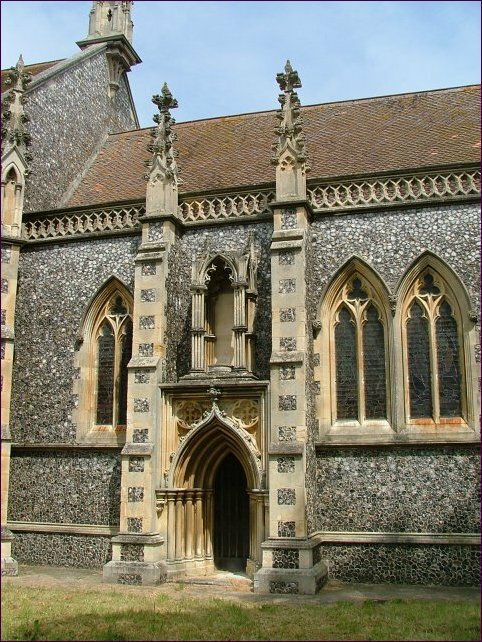 Pevsner points out that it is not, as it first appears, a wholly new 19th century fantasy, but a rebuilding of a simpler medieval building. 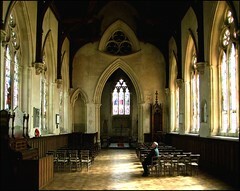 The chancel walls and the former west wall survive, encased in later flint. 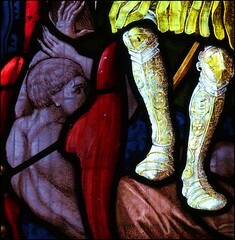 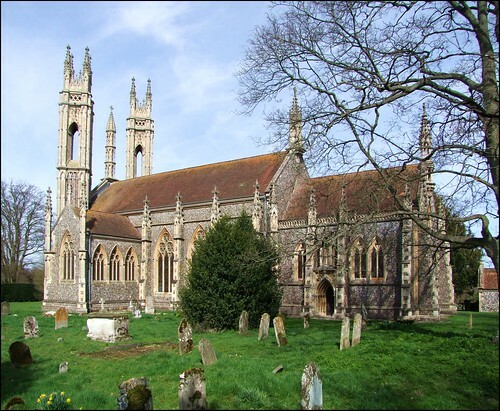 The excellent Churches Conservation Trust guidebook carefully investigates Elwin's sources; the design of the nave windows is taken from those at Temple Balsall in Warwickshire, for example, and the west window from St Stephen's Chapel at Westminster. 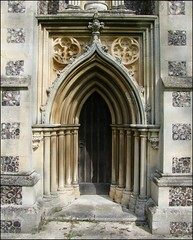 The west door design is that of Glastonbury Abbey, and the curious trefoil window above the chancel arch from Lichfield cathedral; the guidebook suggests tentatively that this may be a homage to Elwin's passion for Dr Johnson, which may strike us as far-fetched; but then, the whole building is. 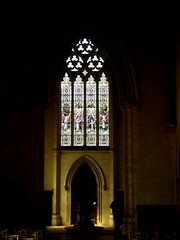 The guidebook is, however, at a loss to suggest the source of the towers, other than that they might strike an 18th century note, possibly echoing the north quadrangle at All Souls', Oxford, part of that flowering of fantasy 'Gothick' before the Camden Society and the Tractarians gave it an articulate voice. 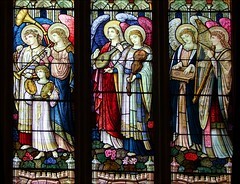 It is enough, perhaps, that they reflect the colourful outskirts of Elwin's imagination. 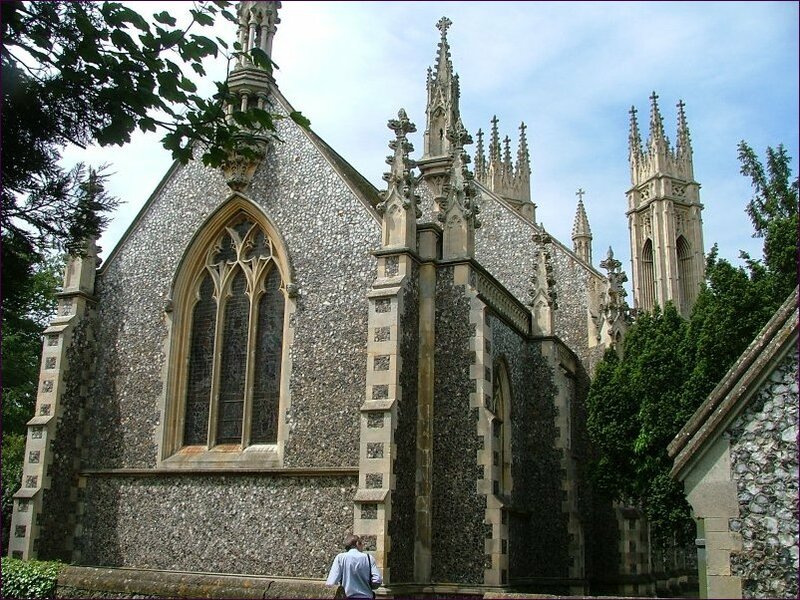 There are three of them; two narrow towers diagonally on to the west wall, and between them a slender, pencil-like minaret. 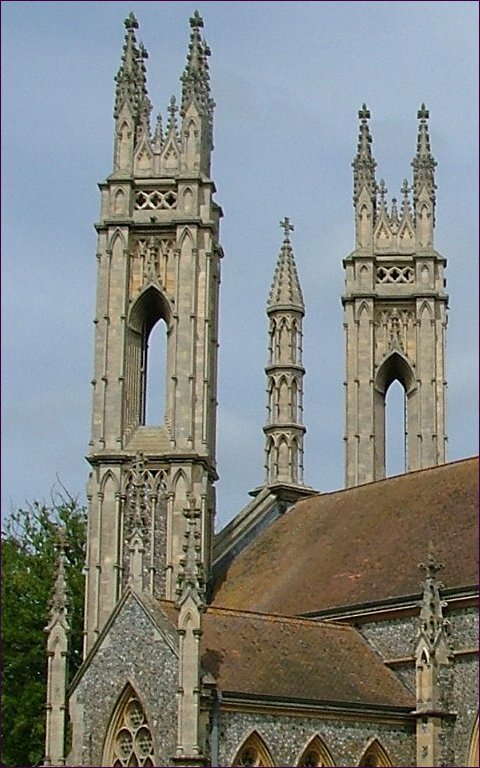 The three are echoed by elaborated spires at the top of the buttresses around the building. 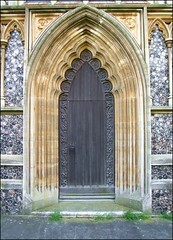 Don't miss the Priest's door on the north side of the chancel; the guidebook says that the inspiration was the church at Skelton in Yorkshire. 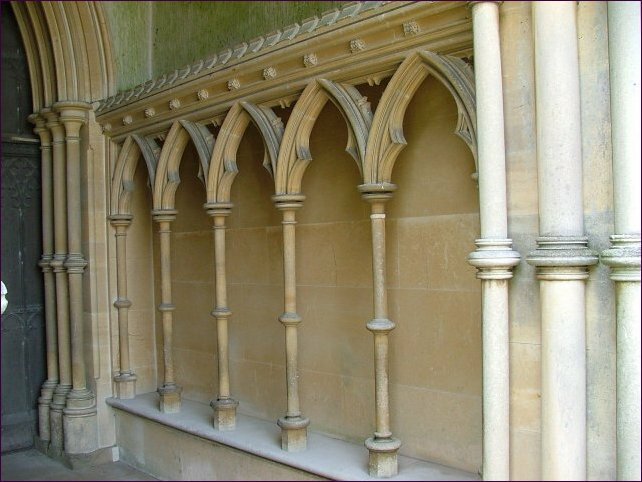 The south porch has college-style arcaded seating with slender fluted columns - lovely to look at, but rather impractical. 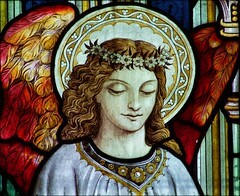 You step into a wide, high space, your eyes accustoming themselves to the gloom that eventually gives up a wonderful angel roof. 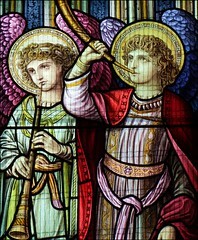 Norfolk's finest medieval roof is in the next village of Cawston, but these 19th century descendants are more like the muscular angels in the spandrils of the west door at nearby Salle, and indeed they were designed to carry hanging lamps in the style of those angels' censers. 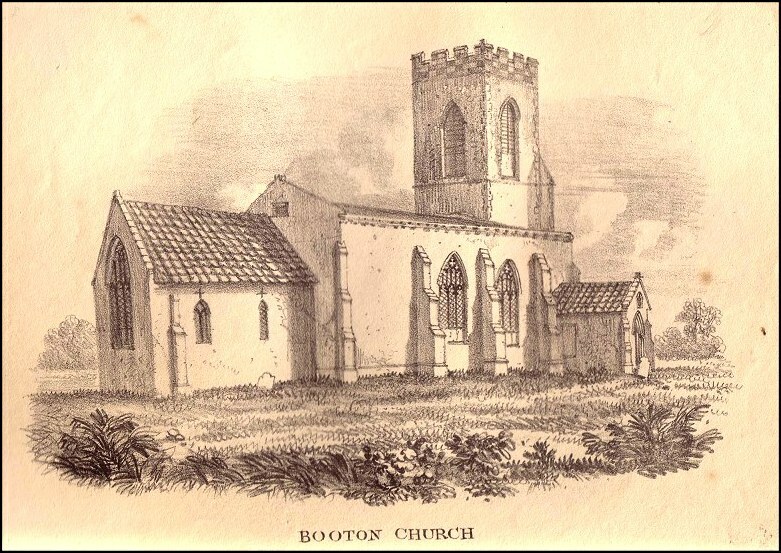 Elwin's pews have been replaced by simple, practical chairs, but the essential furnishings remain; the vast, towering prayerdesk, and the pulpit set in a high alcove. 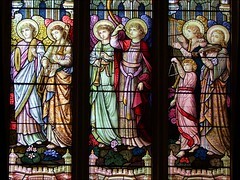 These probably reflect Elwin's theological enthusiasms more accurately than the angels. 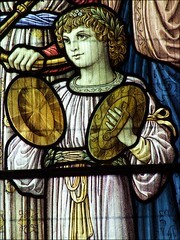 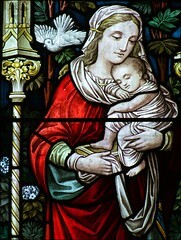 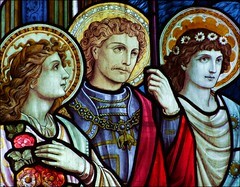 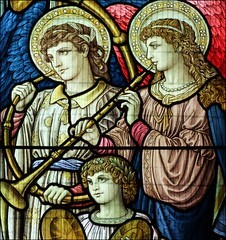 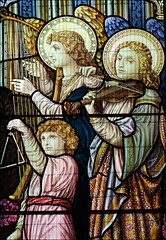 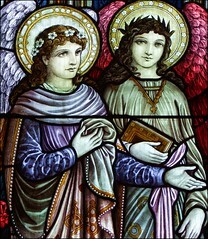 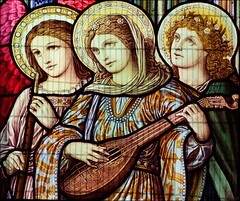 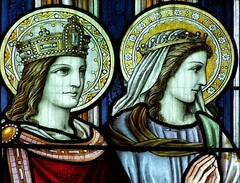 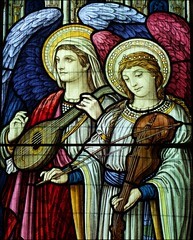 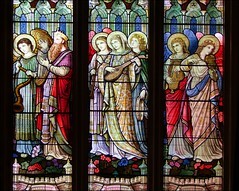 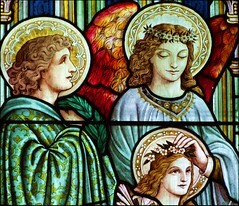 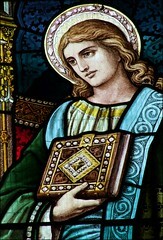 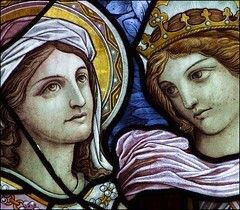 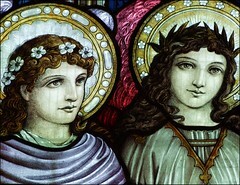 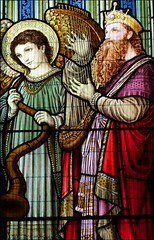 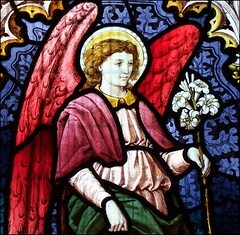 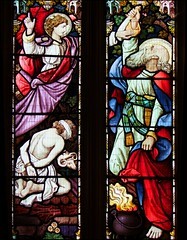 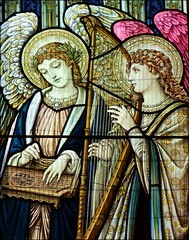 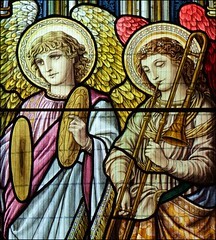 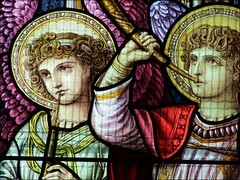 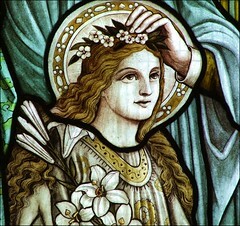 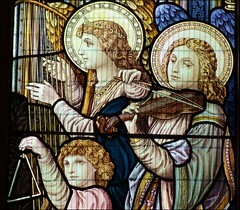 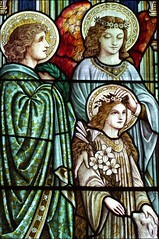 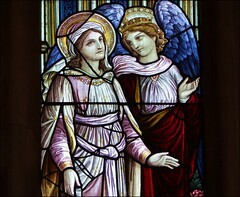 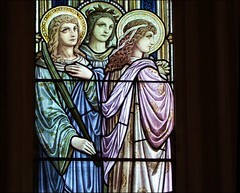 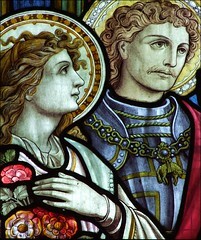 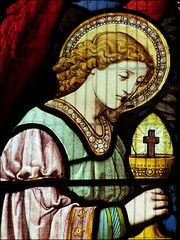 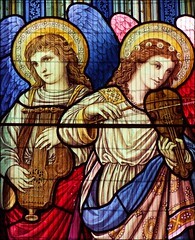 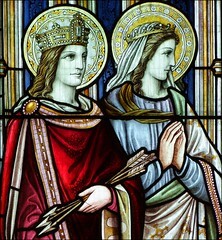 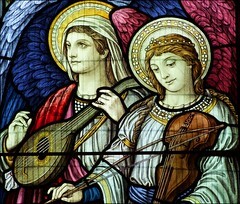 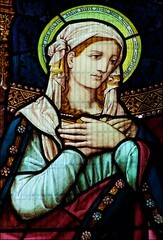 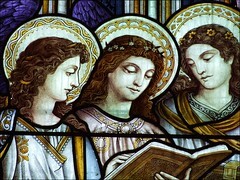 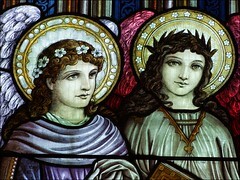 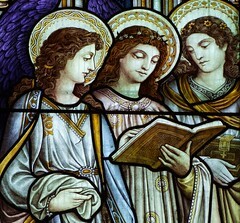 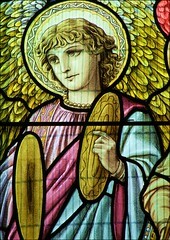 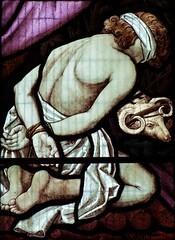 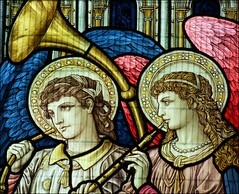 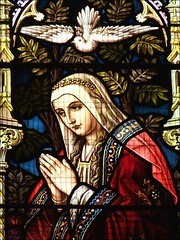 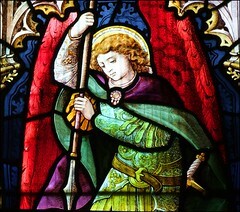 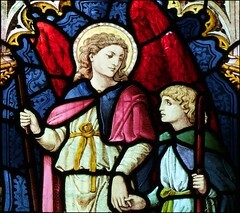 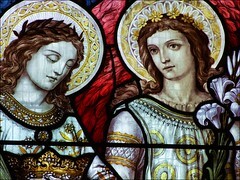 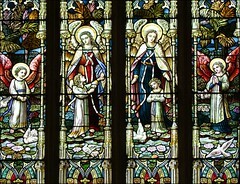 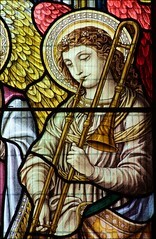 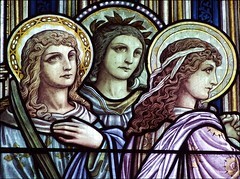 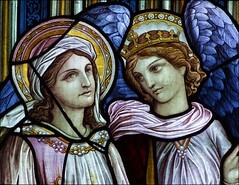 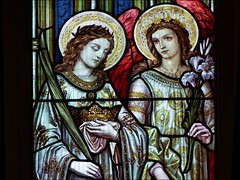 There are more angels in the windows, some of which you can see below, and they are said to be drawn from the life - that is to say, from the faces of the not inconsiderable number of 'blessed girls', young women to whom Elwin was the affectionate, almost intimate, counsellor, as the guidebook politely puts it. 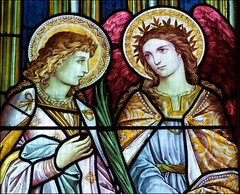 They are very lovely - you can see why he might have been tempted to seek their company. 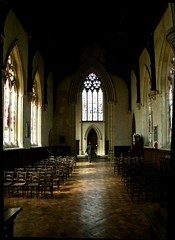 If you are lucky enough to see inside the vestry, which is normally kept locked (it is so vast, the CCT uses it as a repository for guidebooks for other churches) you will get another insight into Elwin's attention to detail; the wood panelling, stained glass and ceilings are finished so perfectly, but were only ever intended for him to see. 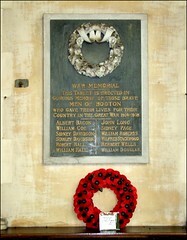 His memorial is above the priest's doorway; the sedila beside it must be the most splendid in all East Anglia.